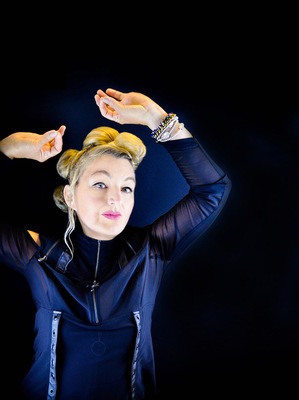 Canadian singer-songwriter, Jane Siberry will perform at the Arts Centre Warburton for one night only on Friday 1 February as part of her 2019 Australian Salon Tour. Fans of Siberry know her also as a composer, musician, record producer and poet who is renowned for her hauntingly beautiful music, a signature sound that is uniquely her own and for her artistic integrity and creative innovations. Her work has spanned over three and a half decades and produced 20 critically acclaimed CDs, including the hits Calling All Angels, Love Is Everything, It Cant Rain All The Time, Mimi On The Beach, Everything Reminds Me Of My Dog, One More Colour and Bound By The Beauty. Calling All Angels is a duet with fellow Canadian, k.d. lang and was used as the soundtrack for sci-fi drama movie, “Until the End of the World’. The film included David Gulpilil, Jimmy Little and Ernie Dingo in the cast with the screenplay co-written by Peter Carey. Siberry’s shows have a reputation for becoming a story on their own. Expect to be stimulated, entertained, temporarily worried and ultimately glad to be alive. Jane will also be holding a songwriting workshop in The Wellspring – Warburton’s studio on Saturday 2nd February (please email wellspringwarburton@gmail.com to book/enquire for workshop). The show starts at 8pm with tickets at $45 available via link above or at the Arts Centre Warburton. Children and teens free – please book – and bring a cushion if you’d like to sit up the front.